Mr. Orsi has practiced as an intellectual property attorney since 1991, working initially for IBM and later for Pirelli SpA; he then joined Hewlett-Packard in 1998. At present he leads HP worldwide intellectual property transaction team for HP’s imaging and printing business, providing legal advice on IP transaction matters such as IP licenses, including FOSS licenses, right to use opinions, mergers & acquisitions, strategic sourcing contracts and IP disputes. Greg Kelton brings 20 years of sales, marketing and operations experience to his role at Palamida. In this role, Greg is responsible for all sales and operations across EMEA. Previously, Greg launched several software firms in Europe as a Director at Coremetrics (acquired by IBM) and Managing Director at Optimost (acquired by Autonomy then by Hewlett-Packard). Prior to his European efforts, Greg held leadership roles in several startups in the US leading to acquisitions or IPO’s including Scopus Technologies (acquired by Siebel Systems), Open Environment Corporation (IPO’ed and acquired by Borland), Kenamea (acquired by Scivantage), and Octane Software (acquired by E.piphany). As Co-founder of Open Environment Corporation, Greg collaborated closely with the Open Software Foundation (OSF) to design a distributed computing systems platform based on the OSF’s DCE implementation. Prior to OEC, Greg consulted to Fortune 500 companies on the use and implementation of Open Systems while at Cambridge Technology Partners. Greg earned his Bachelor of Science degree in Computer Science with Honors from Northeastern University and his MBA in finance and marketing from Georgetown University. Armijn Hemel is owner of Tjaldur Software Governance Solutions, a Dutch consultancy specializing in license violation resolution and software governance through tooling and education. 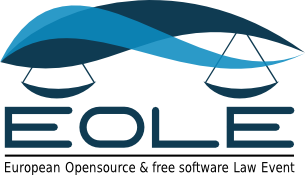 As part of the coreteam of gpl-violations.org he has many years of hands on experience with detecting and resolving license violations in products that use GPL licensed software. Guillaume Rousseau the CEO and co-founder of Antelink. Guillaume is a former assistant professor from University Paris Diderot. He has worked 3 years at INRIA Paris Rocquencourt Research Center, working on IP tracking Methodologies and tools. In 2009, he created Antelink, a spinoff from INRIA. Antelink is the European software company specialized in software Lifecyle Management and open source component detection. Benedicte Pascal is a French attorney based in the UK. Benedicte worked briefly at the APRIL (Association pour la promotion et la défense du logiciel libre) and joined Intel Corporation (UK) Ltd. in 2008. After supporting Intel’s activity in European funded research for 2 years, he now provides legal support for Intel’s Software and Services Group. Benedicte has always had a strong interest in technology and science in general and has been using open source operating systems since 2003. He used to be the Volunteer Coordinator for the GNUstep Project and acted as Publicity Director for Linux International. In 2000, Martin joined the Debian Project, and he was later elected Debian Project Leader (DPL) as which he acted for two years. Martin holds Master degrees in Philosophy, Psychology and Software Engineering, and started a PhD at the University of Cambridge in January 2004. His research focuses on quality management in free software projects. Herve capitalizes several years of experience in the creation and the development of the partner relationship’s as well as Sales manager in software companies Intershop, Argos Systèmes, and as Alliance Manager within the worldwide telecommunication company Telecom Italia. He most recently launched the Enterprise business in France for Parallels as Enterprise Sales Manager and joined Blackduck Software as Sales Manager for France. Impassioned for new technologies since its studies in industrial data processing, he successfully realized strategic projects near large accounts within international teams, but Herve also developed his expertise in marketing with the launching of several offers for software companies.